If it seems like lately everyone from the Incredibles to the people in allergy-medicine commercials is living in a modern house, it's because they are. Pop culture's fascination with modern design has become so persuasive that it's helped raise demand - and prices - for properties ranging from mid-century tract houses to masterpieces by the latest big-name, big-deal architects. But before frustrated house hunters start cursing the good people at Flonase for helping fuel a bidding war on their dream home, consider that increased demand has also made room for a new kind of real estate agent who specializes in finding and selling architecturally significant properties, and who might very well save you time and money. "We're seeing the market for architecture look more and more like the market for art," says Crosby Dee, a partner at one of the country's oldest architectural realty companies, Mossler Deasy & Doe. "It's just reality. If a Greene & Greene sconce is worth $50,000 [at a recent Sotheby's auction of 20th-century design] , why isn't a house worth a few million?" 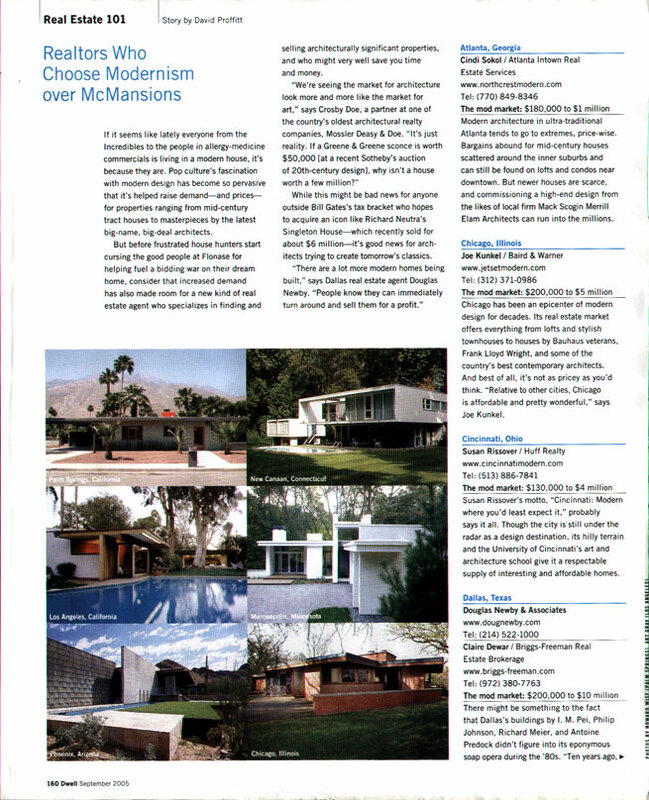 While this might be bad news for anyone ouside Bill Gate's tax bracket who hopes to acquire an icon like Richard Neutra's Singleton House - which recently sold for about $6 million - it's good news for architects trying to create tomorrow's classics. "There are a lot more modern homes being built," says Dallas real estate agent Douglas Newby, "People knew they can immediately turn around and sell them for a profit." 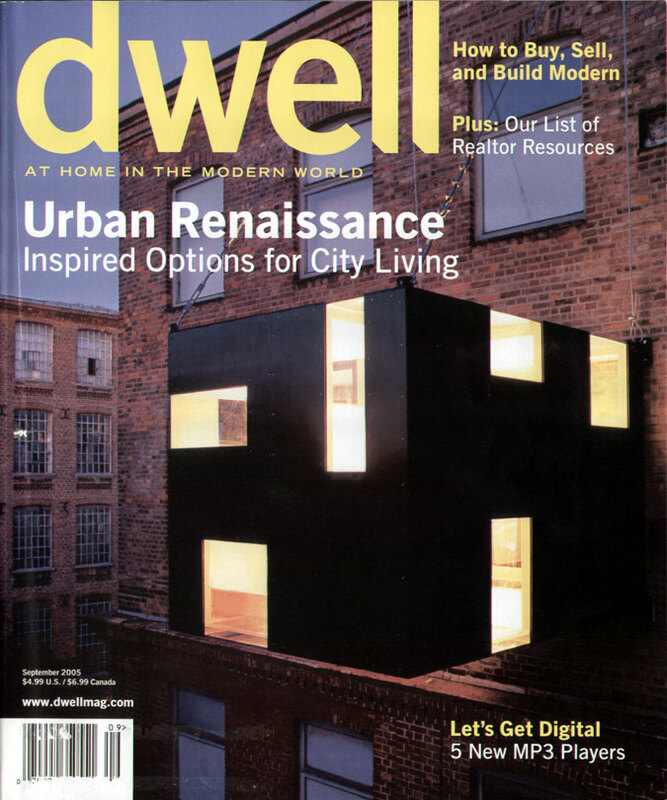 Modern architecture in ultra-traditional Atlanta tends to go to the extremes, price-wise. Bargains abound for mid-century houses scattered around the inner suburbs and can still be found on lofts and condos near downtown. But newer houses are scarce, and commissioning a high-end design from the likes of local firm Mack Scogin Merrill Elam Architects can run into the millions.